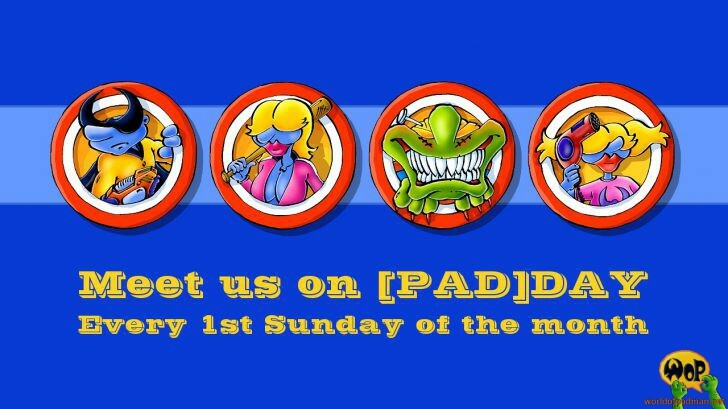 As Christmas is coming, we want to bring a small present to all of us and to rebuild the [PAD]Community with reviving the good old [PAD]DAY. But this time we will start with meeting on every 1st Sunday of the month at 7:00 pm CET on Hectic’s FunServer (78.46.188.33:27961). So the first [PAD]DAY of 2018 will be on 7th of January. As an initial approach a classic cycle of WoP’s unique maps and game types is planned, so a fresh install of version 1.6 of the game will do it. When the community is developing well and more people are playing our game again, we will add community content step by step in upcoming [PAD]DAYs, so it can be helpful to have the auto download option enabled.